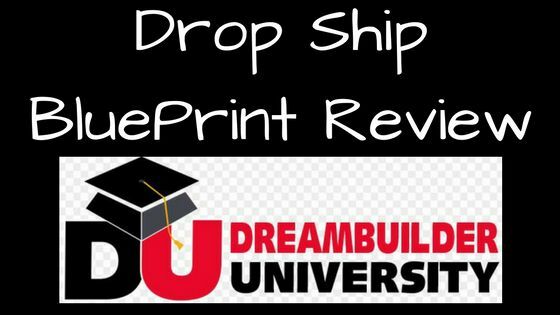 Dreambuilder University: Dropship Blueprint Review! Last updated on June 20, 2018 By Nat Leave a Comment This post may contain affiliate links. We appreciate you supporting Rags To Niches! Full disclosure here. I’m interested in researching various ways that people make money online. Largely, I talk about affiliate marketing, (as that’s how I got started online!) but I’m also interested in exploring direct selling online and, in particular, drop shipping. Drop Shipping is an interesting model, because it takes a lot of the hassle out of direct sales. You don’t have to worry about the shipping element and you don’t hold any inventory yourself. Unfortunately though, like so many programs promising to help you make money online, a lot of “get rich quick,” scammers have latched on to Drop Shipping too. So, I was pleasantly surprised when I came across this product, which doesn’t have any of the hype involved, nor fake promises, as so many courses do. 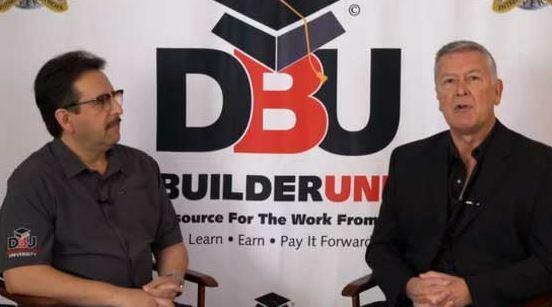 Product: Dreambuilder University – Dropship Blueprint. Price: $97 – one time price. Creators: Richard Ramos and Chard Hayward. Mini Review: If you’re interested in Drop Shipping, this is a solid product without any of the hype and false products of so many products in the industry. The training provides step by step video tutorials, the course itself is good value and also has a 60 day money back guarantee. So, you have everything to gain by checking it out for yourself. >> Click Here To Get Started! Drop shipping is when you take an order from a customer for a product, but the retailer or manufacturer of the product fulfils the shipment. So, you do not hold any of the products yourself. You may also not need to purchase the product until you have already sold one and received payment from the customer – initial investment can therefore be low. One of the great parts of this model from my perspective, is not having to hold products yourself and deal with delivery. It does share some similarities to affiliate marketing in a way, in that you are also a middle man in this scenario. No Spammy Sales Page Here! I love the sales page for this product. It’s really clean to look at, no fluorescent, ugly writing – like so many “make money online,” products – just an honest looking sales page. The video on the front page has no false promises or claims that you can make thousands in your first month, it’s just straight forward frank conversation about the course and general information. This is a rarity in the industry – as normally it’s all about convincing you that you can make the most amount of money possible, with the least amount of effort. Faked earning screenshots and testimonials bought from websites like Fiverr are common – but not so here. What Does Dropship Blueprint Include? This is a simple course, containing 10 step by 10 videos. Everything is taught step by step and often real time, so you can learn exactly how it work. These videos will advise you about important aspects involved in this business such as.. Creating super converting sales copy. Great ways to list your products. How to choose profitable products. Where to buy the best products, to generate the most profit. Steps you can take to avoid returns and complaints. The platform they use to get you started is Ebay, which is a good platform to begin with, as you don’t have to worry about traffic – as Ebay is already generating plenty. You also don’t need a website or money upfront, you do not need to buy a bulk of products in advance. Dream Builder University has several million products to select from and add to your store, so there is a large variety to choose from – depending on your interests. Normally with drop shipping, you’d need to make a minimum order with a wholesaler, but there are not those upfront costs here. So, if you’re interested in drop shipping, but nervous about a large initial outlay, or unsure whether it’s really for you, this is a great way to check it out. There are a few testimonials on the main sales page, but they’re nothing like the blatantly fake ones seen on so many products. It seems very easy to see with MANY testimonials, that the speakers are just actors – but these people definitely seem genuine. In fact, a couple look a little nervous in my opinion, as though they don’t feel so comfortable in front of the camera – which adds to their authenticity. Once you sign up for the course, you also get weekly webinars, that are free and included. Here you will get useful insider tips and information on how to build a successful drop shipping business. In addition, you will also get free entry into any of the live regional events. Try It Out – Risk Free. There is a 60 day money back guarantee and, because this is a Clickbank product, they will refund you with no questions asked. I have requested a refund for several Clickbank products in the past and it’s always been a quick and straight-forward process. The creators, Richard Ramos and Chard Hayward and very experienced and this is clearly a legitimate, genuine product. There are plenty of overpriced products within the drop shipping space, that will promise you the world and they do not deliver. Normally, they’ll claim that drop shipping is zero work, can be practically automated and be quick/easy money – but that’s not the reality and this product says it like it is. If you’d like to try your hand at drop shipping, you’ve got nothing to lose. If it’s not right for you – you are always protected by their guarantee. So give it a go! >> Check Out Drop Ship Blueprint Here. Have you had much experience with Drop Shipping to date? Let me know in the comments :).